Azimuth Academy, a pioneer in the Indian MT Industry, launched its completely online eLearning Medical transcription training program in 2005 on par with the AHDI (Association for Healthcare Documentation Integrity) standards. It is a 4-6 month program, which is very exhaustive and provides good practical exposure to the candidates. Graduates with a good command over English aspiring to make a career in Healthcare Documentation qualify to enroll in our online medical transcription program. A basic configuration desktop or laptop and a stable internet connection at home are the only prerequisites to take up this training. 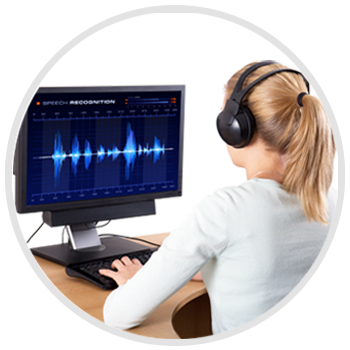 Azimuth Academy’s online medical transcription program is a two-part program – Basic and Advanced. The Basic training section comprises 5 modules starting with Technology, American English – grammar and punctuation, Americanism – US lifestyle and culture, Theory – transcription rules, Language of Medicine with 150 BMT (basic MT) files. Advanced training deals with Legal – HIPPA and AMT (advanced MT) files covering various work types and specialties dictated by American doctors. All this along with our expert guidance provides the candidates a very good exposure making them job-ready on course completion. Once course is completed as per the norms, the candidates will be provided placement assistance allowing them to work from the comfort of their homes with an earning potential based on their productivity. 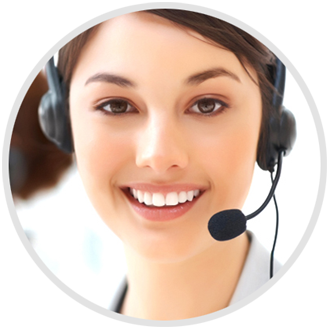 Our recent launch is the Speech Recognition Medical Transcription Editing program. On completion of this program, the candidates will be equipped to crack blanks easily, catch sound-alike and nonsensical errors, and enhanced comprehension skills eventually delivering files with good accuracy. It is an up-skilling program to the regular MT course certifying the candidates to edit and proofread pre-transcribed automatic speech recognition (ASR) files, which is currently trending with the US doctors and healthcare professionals. It is legally binding in the US that Doctors provide their patients with medial records for insurance claims and healthcare documentation purposes. With the help of digital voice recorders, the healthcare professionals record patient details like reason for visit, patient history, observations made, and treatment given to mention a few. These recordings are transformed into digital voice files, which are given to the MLS (medical language specialists) who transcribe the voice files documenting them making it readable. These documents then undergo extensive quality checks making them error-free and sent back to the dictators’ table within the turnaround time ready for their use. Since the advent of speech recognition software, the daily productivity of medical language specialists has increased two- to three-fold increasing their earning potential alongside ease of processing. As is the case of any profession, even medical transcriptionists face their share of issues with difficult dictations, unclear patient demographics from charts, and trying to figure out the not so familiar medical terminologies and drugs. The advent of ASR is a blessing in disguise to this healthcare documentation industry, since the files come ready-to-edit from the client end. All that an SRMTE needs to do is edit the files, correct the errors, and ensure the requisite file accuracy. There are many certification programs offered by the American community colleges. Here in India, Azimuth Academy is a proud pioneer to offer their online eLearning MT and SRMTE programs to candidates aspiring to make it big in the healthcare documentation industry. encouraging and guiding the candidates until successful course completion.